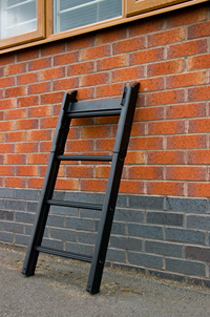 FDS manufacture a range of Window Breaker Ladders, capable of multiple use and rapid entry through a closed window. The ladder section itself is based on a standard single section ladder with the addition of a reinforced steel top section. 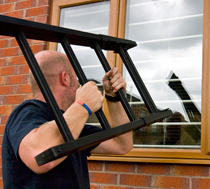 The steel section can be used to break the glass of the window, and to slide around the edge of the window frame to clear any remaining glass to prevent injury. If you already have a 0.460m single section ladder, this can be upgraded with the Window Breaker section without the need to purchase an entirely new ladder. FDS recommend the Working Load Limit for this range of ladders as 360kg / 794lb at 75 degrees. 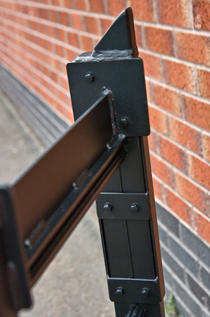 Non standard lengths can be manufactured, if specific sizes are required.